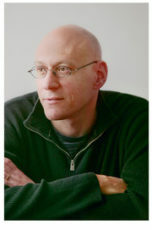 David Shields, author of “Other People: Takes & Mistakes,” in conversation with Richard Wolinsky. David Shields ia an essayist, novelist, short story writer and film maker.Among his works are “Black Planet,” “How LIterature Saved My Life,” and “I Think You’re Totally Wrong: A Quarrel.” In his latest book, a collection of over thirty essays and stories, he examines what it means to know another person, whether we can actually know anyone else. In this interview, he discusses in depth his feelings about Bill Murray, David Letterman and other artists, as well as some characteristics of Donald Trump.